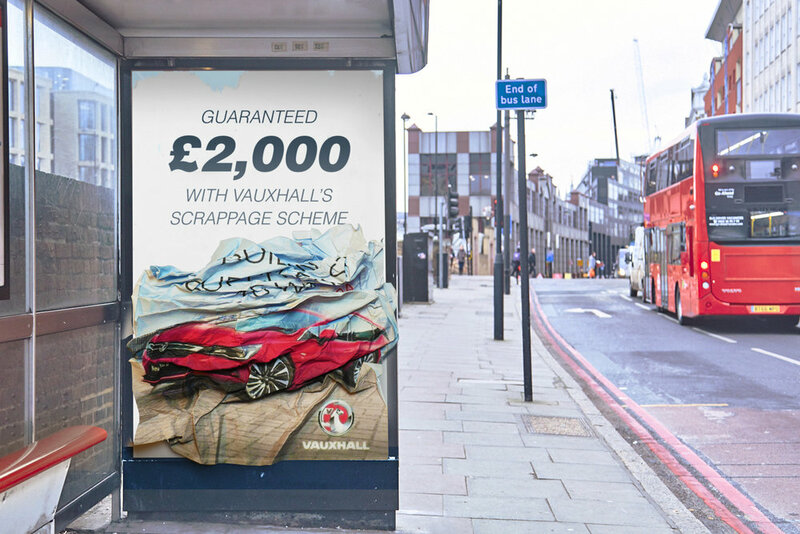 A campaign for Vauxhall's scrappage scheme that scraps their current ads to grab people's attention. Alongside print, the campaign also extends into TV. The 'Scrap it Yourself' travelling pop-up allows anyone to crush their car themselves, certifying Vauxhall's scheme as the most exciting one going.